Golanis offer realtor services (rent, buy and sell) spanning a wide range of properties, such as Service Apartments, Furnished and Unfurnished Flats, Paying Guests, Offices, Shops and Godowns. We pride ourselves in maintaining a vast database of properties through which we can provide instant residential and commercial realtor service. 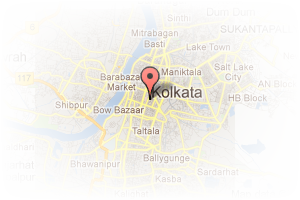 Address: majherhat bridge, New Alipore, Kolkata, West Bengal, India. This Broker Profile page for "Golanis Real Estates" has been created by PropertyWala.com. 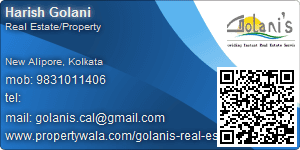 "Golanis Real Estates" is not endorsed by or affiliated with PropertyWala.com. For questions regarding Broker Profiles on PropertyWala.com please contact us.